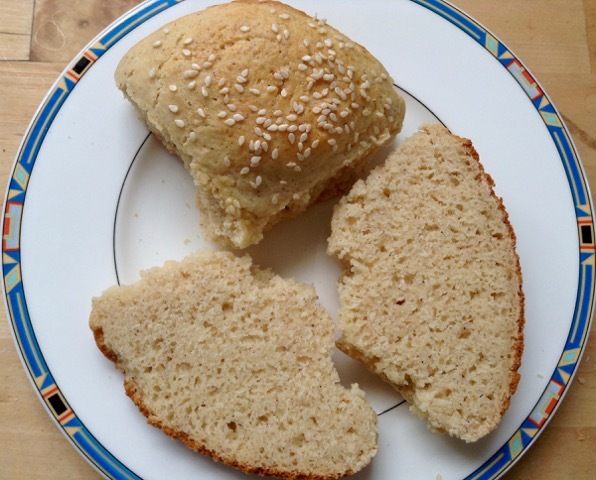 Several years ago, a baking buddy asked me to help him with a German recipe. 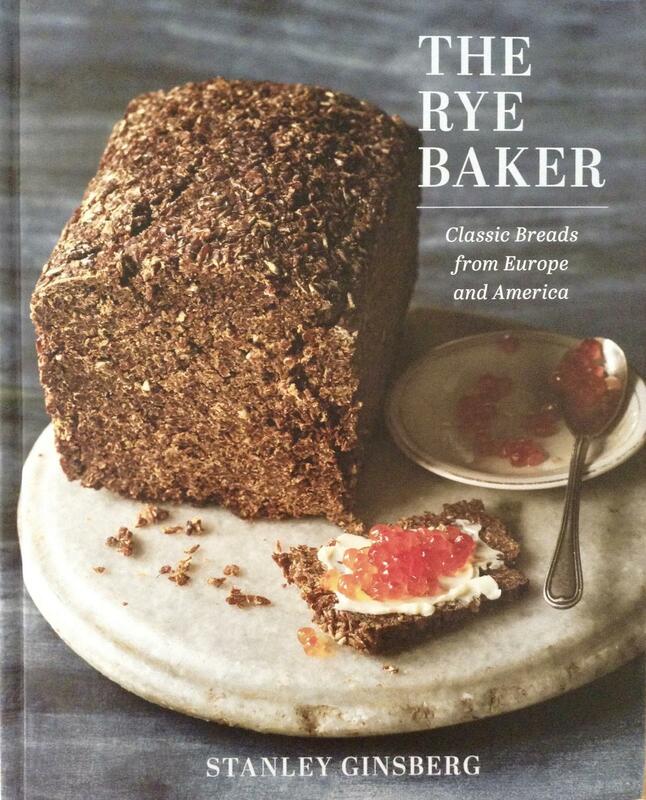 The formula, published by a German bakers' association, combined rye meal and cracked wheat with mustard and cheese. The amounts, of course, were calculated for a commercial bakery, as were the sparse instructions. I had to downsize the formula to home baking proportions. 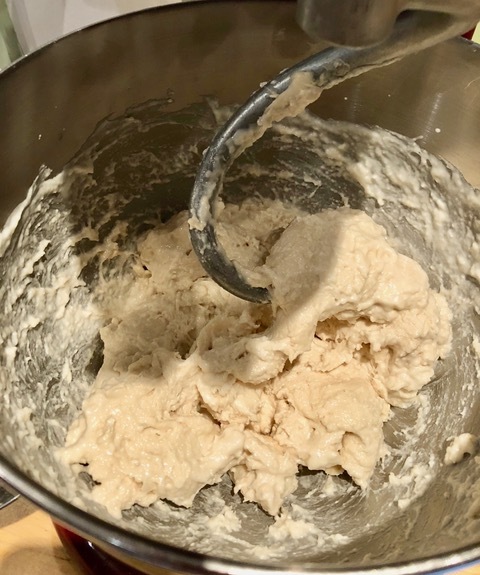 A friend of slow fermentation, I re-wrote the procedure, from using just a small amount of pre-fermented flour, to preferment plus soaker (for the coarser grinds), as well as a long, cold fermentation of the dough. 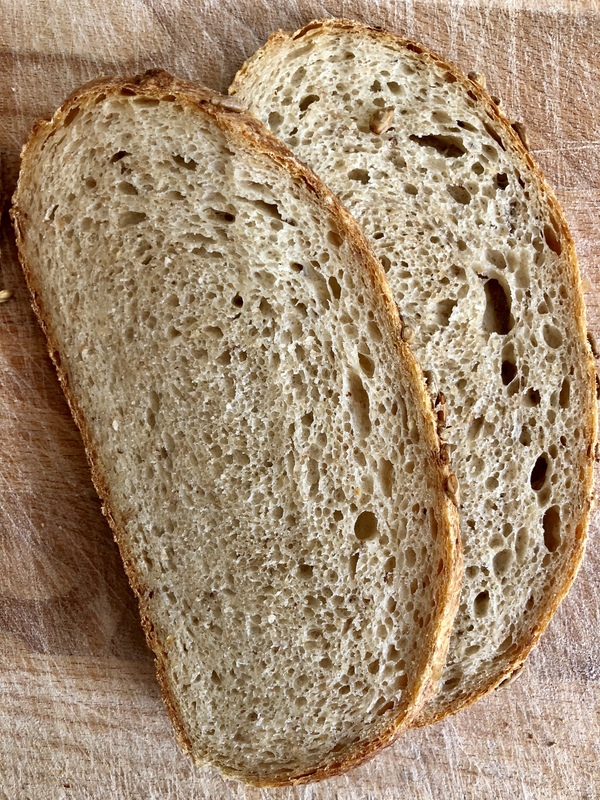 I was very pleased with the result, a beautiful red golden bread, with a stunning, almost neon-yellow crumb. 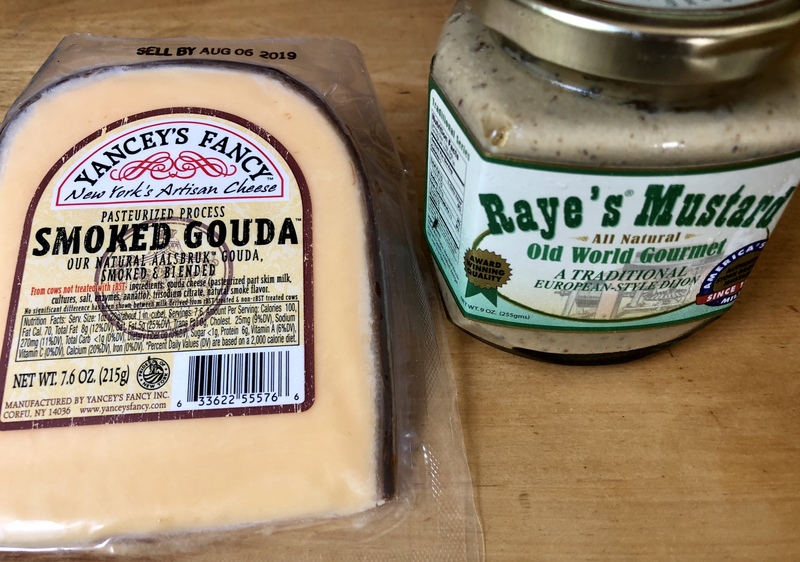 Pleasantly spicy (but not too much), it tasted great with cold cuts, and was a nice surprise when toasted: a bread with built-in grilled cheese! 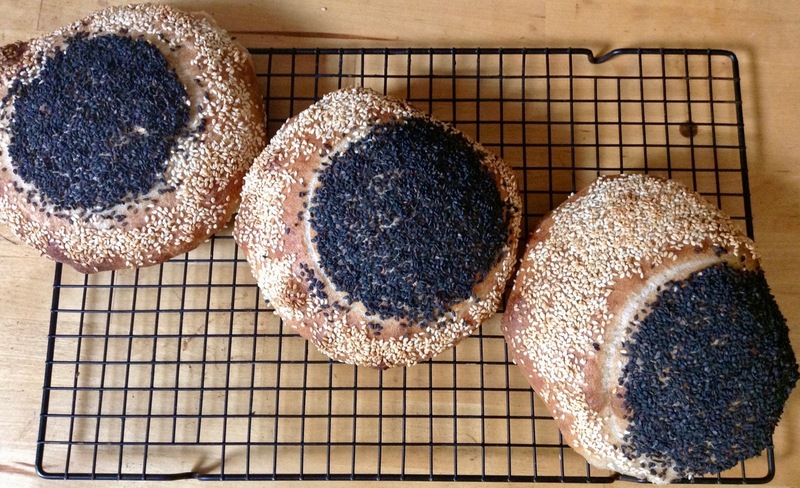 After writing a post about the Senfbrot, I never got to baking it again. 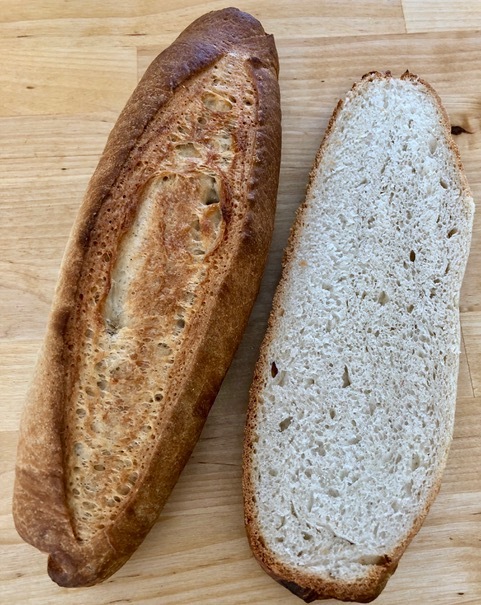 Like my friend Dabrownman, I find that there are always interesting new breads out there, so why make the same, when you can try something new? 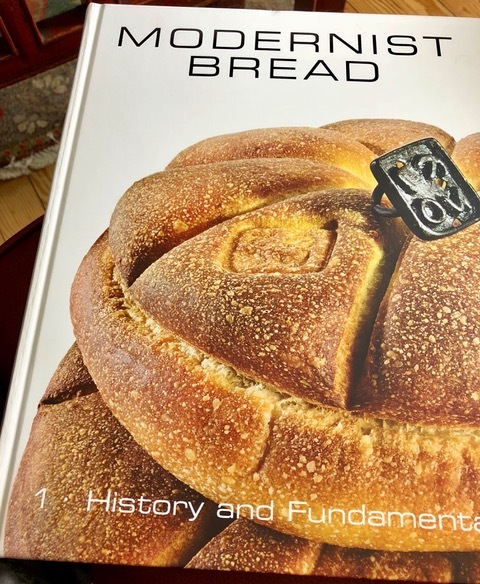 But then I received an email from food historian, lecturer and author Demet Güzey. The Senfbrot had caught her eye, as she was doing research on mustard. If you prefer a more assertive taste of cheese, you can choose a sharper one. For me, a version made with sharp cheddar was a bit too much. 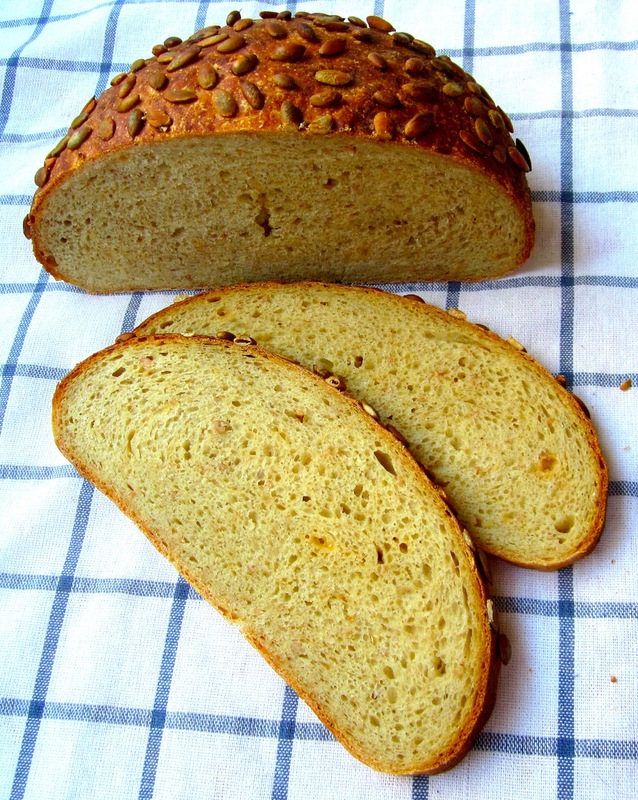 With smoked Gouda and white Dijon mustard, the crumb is a much lighter in color, but has the same great taste! 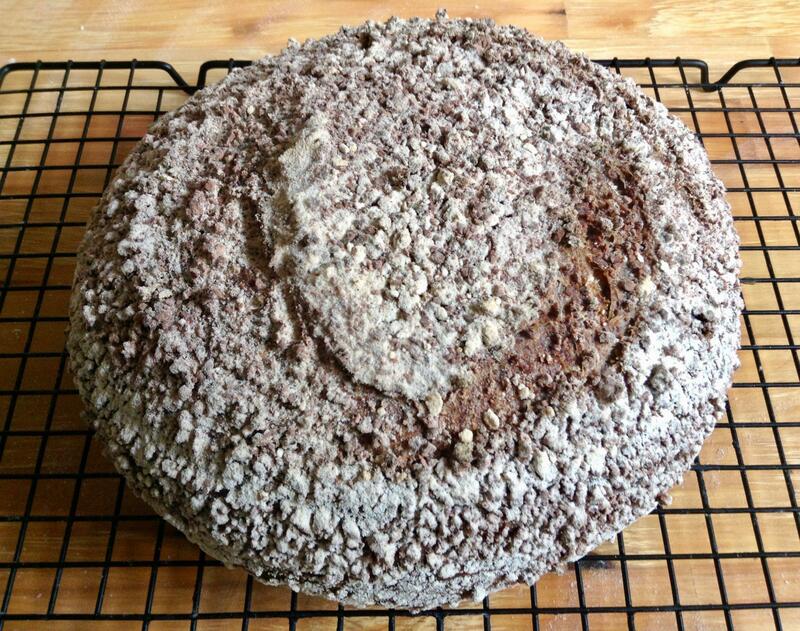 For the updated recipe, please follow me to my blog "Brot & Bread" (recently relocated to WordPress). 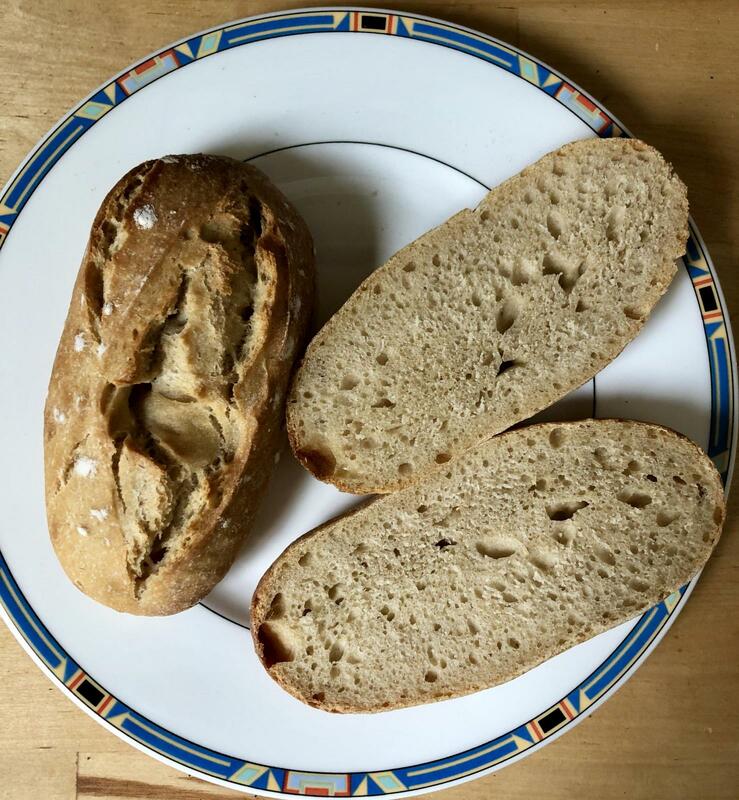 I found a good starting point in Austrian baker Dietmar Kappl's Fladenbrot, tweaking it to suit my needs: with a long, cold bulk fermentation and the introduction of a little whole grain flour (I tried it with rye and emmer - both tasted great). 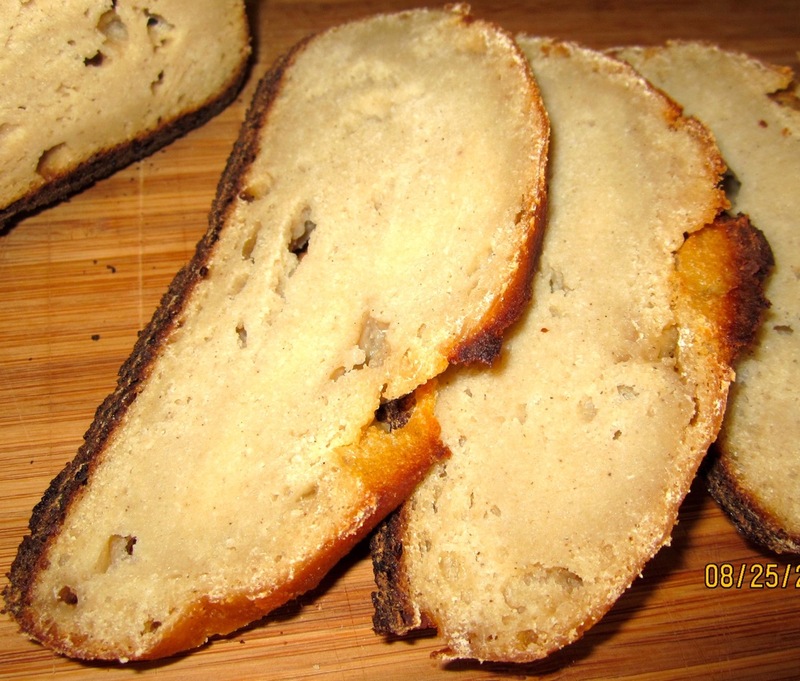 To see the recipe and pictures of the process, please visit my blog "Brot & Bread". During my childhood, we kids used to gather acorns and chestnuts (not the edible kind) to make funny little gnomes from them. Nice and shiny as they looked, I knew that only pigs and squirrels could eat them, they were much too bitter for human consumption. When I read a facebook post ("Bread History & Practice") about the possibility to use acorns in bread baking, I was intrigued - the huge European oaks in our neighborhood had produced a bumper crop of acorns this year. To remove the bitter tannins from the acorns they have to be leached. This process, described in "Acorns: The Inside Story", takes a bit of time, but is pretty easy. 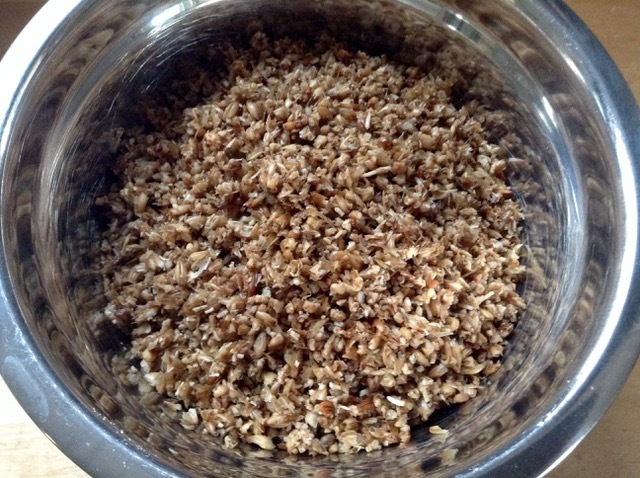 Repeated soaking of the ground acorns in cold water (instead of boiling the kernels) works best for bread making, since this gentler method preserves the binding qualities of the acorn meal. 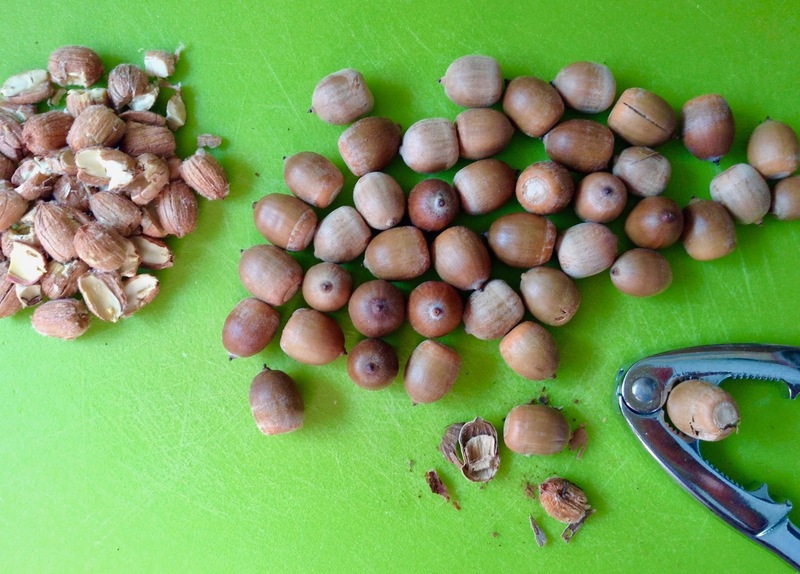 My resident bread tester (aka husband), helped me to gather a bag full of acorns, and I left them to dry for several weeks on our porch - the kernels shrink a bit, and are then easier to remove from the shells. 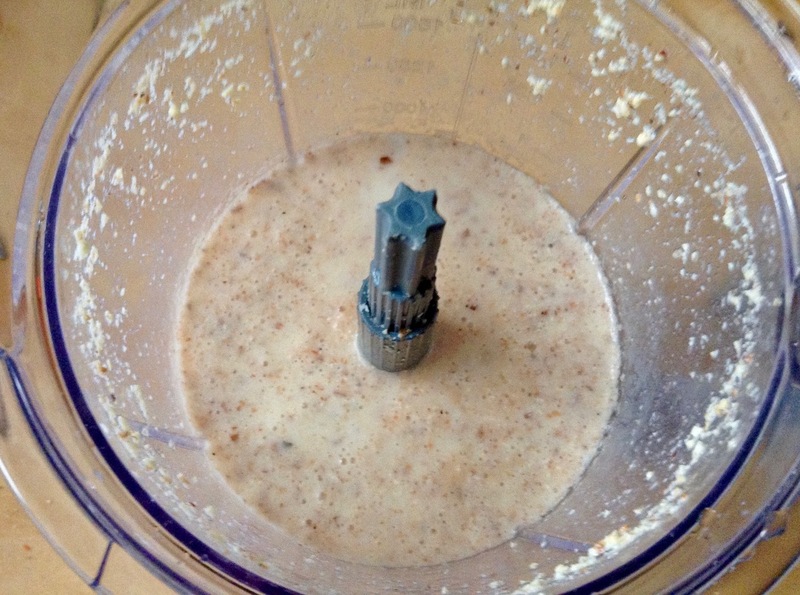 First the acorns have to be ground with water in the food processor (water prevents them from turning into greasy nut butter). The meal has to be rinsed in a fine-mesh strainer, before transferring it to a bowl, and soaking it in a lot of cold water. 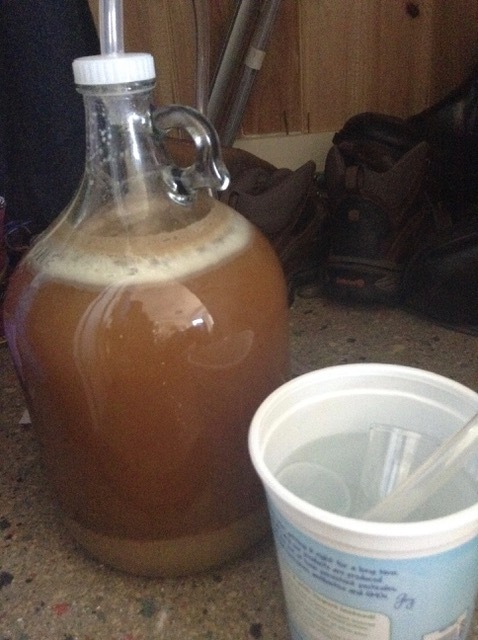 I rinsed, drained and soaked the acorn meal three times a day. The wet acorn meal had to be dried, either spread out on a baking sheet in the oven at very low heat, or, if you own one, in a dehydrator (lowest setting). 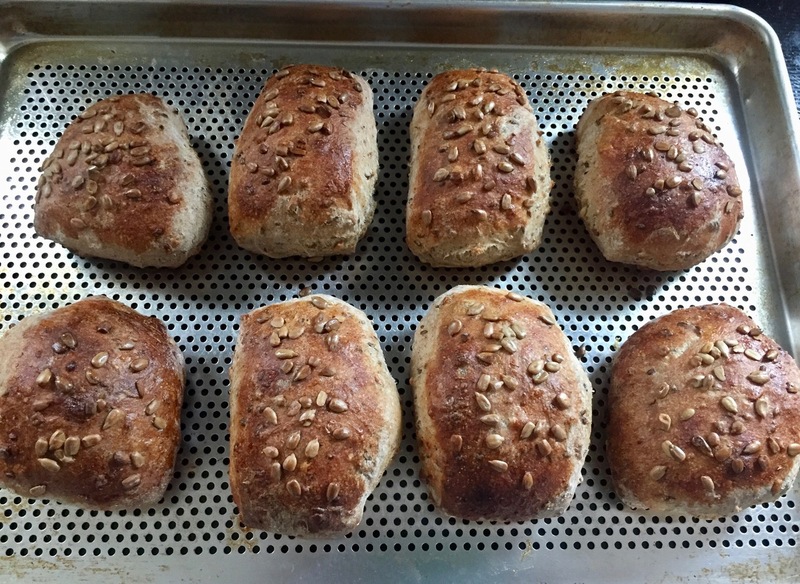 To continue reading (and see the recipe), please, follow me to my blog "Brot & Bread"
Read more about Schwäbisches Roggenblümle from "The Rye Baker"
I'm a curious person and love trying out new things. When "Cook's Illustrated", one of my favorite food magazines, published a gluten free cookbook, I bought it, out of curiosity, even though I have no problems with gluten. I was especially interested in how the culinary geeks from "America's Test Kitchen" got to their good looking results. My own trials, though taste-wise acceptable, left a lot to be desired regarding their consistency, and looked rather unappetizing. My first gluten free sourdough bread tasted okay, but looked rather unappetizing! 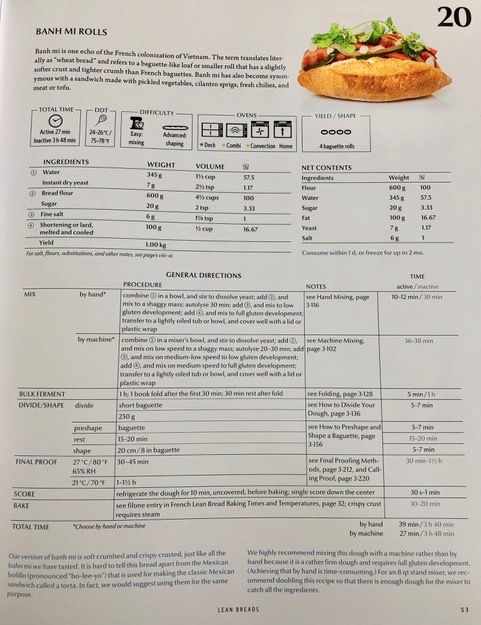 When my lovely Brazilian hairstylist asked me whether she could order some gluten free rolls for her Christmas menu, I jumped at the opportunity to try a recipe for dinner rolls from "The How Can It Be Gluten Free Cookbook". The rolls get their necessary structural support from psyllium husk, a fiber supplement from the natural food aisle, more known for its beneficial effect on all kinds of digestive maladies. 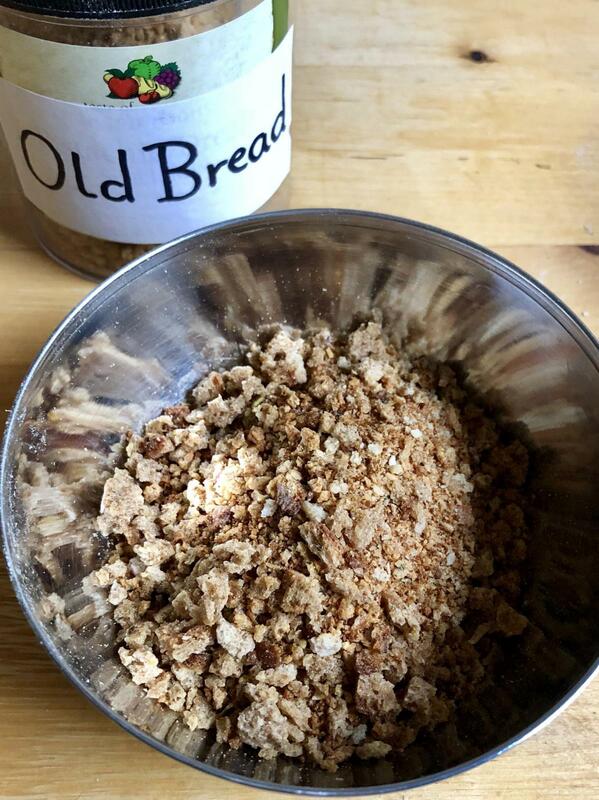 The additional baking powder and lemon juice help with softening the crumb, making it less dense. 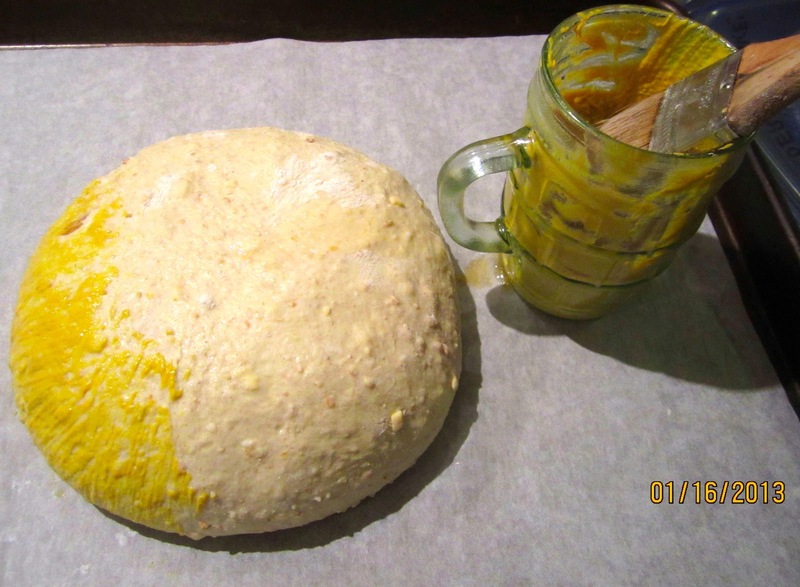 The flours should be finely ground - I used Bob's Red Mill brand. 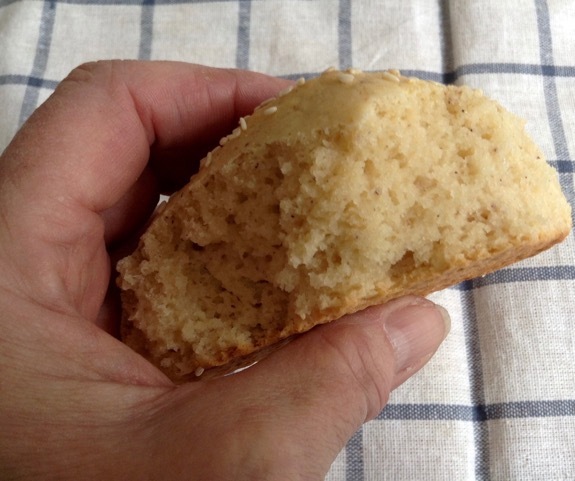 My first trial resulted in nice fluffy rolls with a consistency like English Biscuits - better than anything I had seen so far in gluten free breads. But I was less enthusiastic, when I sampled the dinner rolls. They tasted bland and a bit doughy. With jam on top this was less noticeable, and, when toasted, they were okay. Danielle assured me, that she liked the gluten free rolls - but I couldn't stop thinking about them. I don't like selling something I'm not 100% satisfied with. 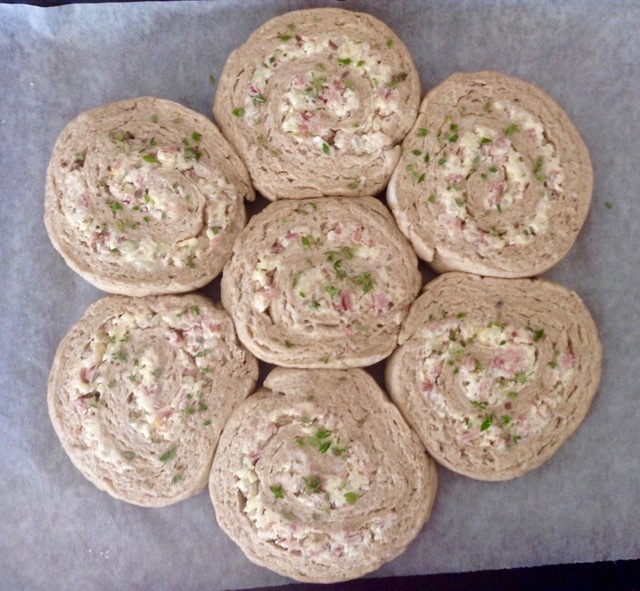 There was nothing to criticize about the structure of the dinner rolls - the test cooks with their scientific approach had really given their best. 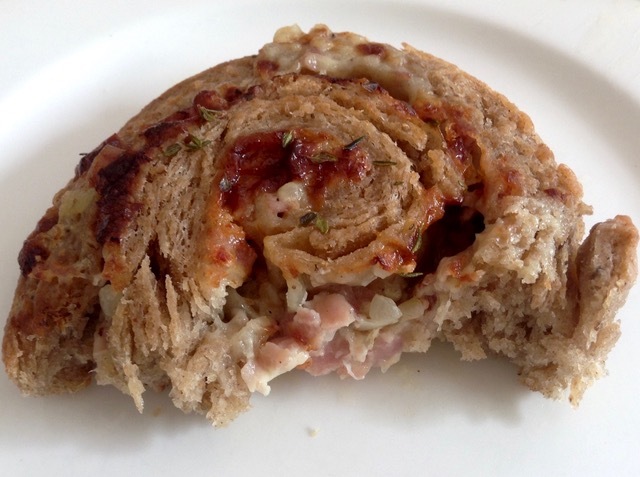 But how could I achieve a better taste for my rolls without risking their fragile, gluten-less structure? 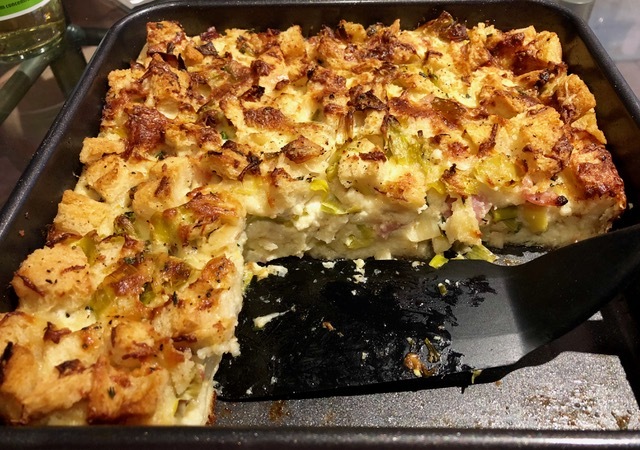 Exchange a part of the rice flour, potato and tapioca starch for a gluten free flour with a more assertive taste? Would I be really able to beat Bobby Flay the geeks of America's Test Kitchen? 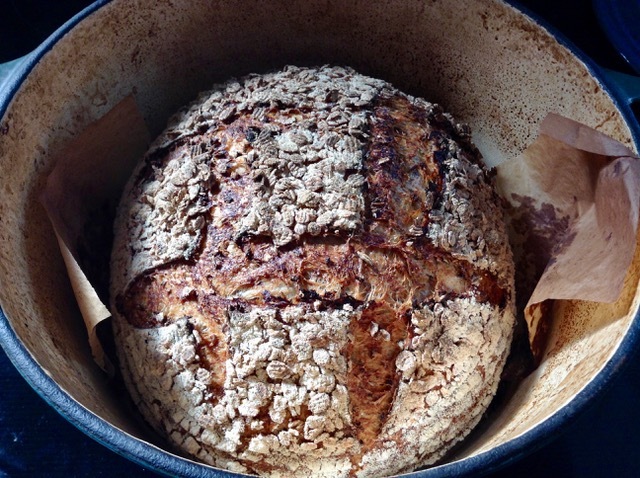 To satisfy your curiosity, please, follow me to my blog "Brot & Bread"!